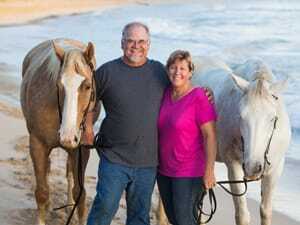 Enjoy a scenic horseback ride and experience spectacular mountain & ocean views of Oahu's North Shore. Choose from leisure to advance trail rides! Explore the natural beauty of the Gunstock Ranch on this nature-filled half-day tour. Traverse mountainside trails, see stunning views of the sea and discover hidden caves with your guide. Finally, leave your mark in Hawaii by planting a legacy tree. Climb aboard a high-mobility six-wheeled Pinzgauer on a private trek up the North Shore of Oahu, and head across the beautiful Gunstock Ranch to see historic sites, and have a picnic lunch or dinner. Hop in the passenger seat of a UTV for an epic private four wheeling trek across Oahu's backcountry to see television film locations, panoramic ocean views, lush jungles, and even have the option for a picnic lunch or dinner.